Golf pro, John Daly, was born on April 28, 1966 in Carmichael, California. 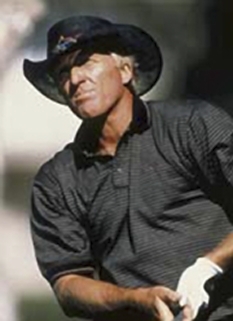 Daly is known primarily for his "zero to hero" victory in the 1991 PGA Championship, his driving distance off the tee (earning him the nickname "Long John"), his non-country club appearance and attitude, and his rough-and-tumble personal life. Daly remains one of the most popular and intriguing figures on the Tour, despite his recent lack of success. John Daly turned professional in 1987, and won the Ben Hogan Utah Classic in 1990. 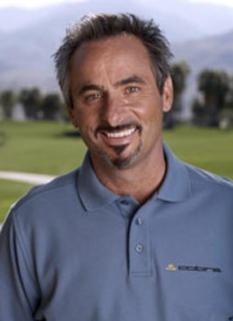 He joined the PGA Tour in 1991 and won the PGA Championship that year. This victory gained Daly a significant amount of media attention due to the fact that Daly was the ninth and final alternate for the Championship. 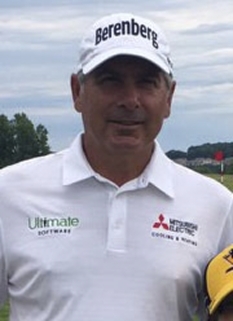 He entered the competition when Nick Price dropped out and no other alternate could make it. He parlayed this opportunity into a first round score of 69, without a practice round. He finished the tournament with scores of 69-67-69-71, giving him a three-stroke victory over Bruce Lietzke. 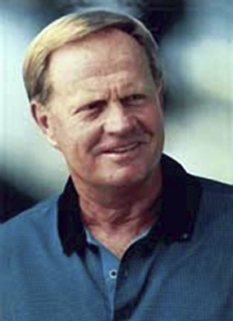 Daly was subsequently named PGA Tour Rookie of the Year. He was also the first rookie to win a major title since Jerry Pate won the U.S. Open in 1976. John Daly won the B.C. Open in 1992 and the BellSouth Classic in 1994. In 1995, he unexpectedly won the British Open in a playoff with Italian Costantino Rocca at St. Andrews. Daly is the only eligible two-time major winner never selected to play in the Ryder Cup. John Daly entered the 2007 PGA Tour season without full exempt status for the first time since his 1991 PGA Championship victory, which carried a 10-year PGA Tour exemption. Another such exemption was earned with his 1995 British Open win. When Daly won the 2004 Buick Invitational, he earned a 2-year exemption, which expired at the end of 2006. Daly finished 193rd on the 2006 PGA Tour Official Money List, thereby losing his full exempt status for 2007. As Daly is not among the Top 50 on the PGA Tour's All-Time Career Money List, Daly must now depend heavily on Sponsor Invitations (PGA Tour Exemption Category 11). 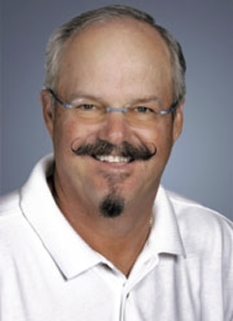 Some 2007 PGA Tour events have already extended such invitations. Outside of sponsor invitations, Daly can also play in most 2007 regular events via Exemption Category 30, "Past Champions, Team Tournament Winners and Veteran Members beyond the Top 150 Leaders on the 2006 PGA Tour Official Money List". As far as individual tournaments are concerned, Daly is exempt for life in the PGA Championship and AT&T Pebble Beach National Pro-Am, up to age 65 in the British Open and up through 2009 in the Buick Invitational. In order to play in the Masters, U.S. Open, a World Golf Championship or a FedEx Cup Playoff Event, Daly would have to satisfy the particular invitational requirements of such events. John Daly was invited to play in the Honda Classic on March 1, 2007 on a sponsor's exemption, but had to withdraw after two holes. Daly pulled a muscle near his shoulder blade when he tried to stop his backswing after a fan snapped a picture. Daly's golf swing is easily recognized, as he sends the club way "past parallel" to the ground on his backswing, thereby generating tremendous power. Daly is a consistent challenger for the Driving Distance crown and has won that title a record-setting 11 times as of 2004, 8 of which were consecutive. His lifetime average for distance off the tee is 309.4 yards, and his single-season personal best is an average of 314.3 yards, which he attained in 2003. Single drives in excess of 350 yards are not uncommon, and Daly can reach very long par 5 holes in two strokes where no one else can. Daly claimed on The Howard Stern Show to have done an 806 yard drive on the LA airport runway. 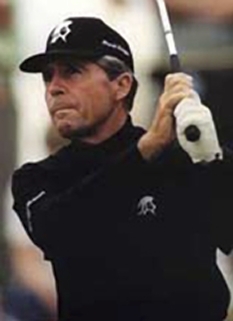 He is also known for having soft hands and a deft touch in his short game around the greens. Daly is sponsored by Maxfli Golf (Taylor Made-Adidas Golf), John Daly's Golf Shops, Dunlop Golf (Focus Golf Systems), Hooters restaurants, Winn Grips, and 84 Lumber. 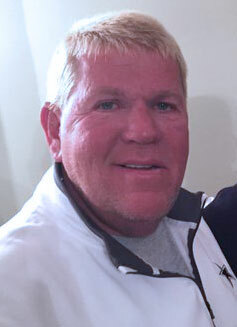 John Daly is known for his involvement in many charities including several in northwest Arkansas. He has donated money to his high school, the Make-A-Wish Foundation, and Boys and Girls Clubs of America. Daly is also an active supporter of the sports programs at the University of Arkansas. He shaved his signature "mullet", and donated the proceeds from the event to various charities. DISCLAIMER: PFP Sports Talent Agency does not claim to represent itself as the exclusive agent for John Daly. PFP Sports Talent Agency is a booking agency that represents organizations seeking to hire pro athletes and sports personalities such as John Daly for speaking engagements, personal appearances, product endorsements and corporate entertainment. Fees on this website are estimates and are intended only as a guideline. Exact fees are determined by a number of factors, including the location of event, the talent’s schedule, requested duties and supply and demand. PFP Sports Talent Agency makes no guarantees to the accuracy of information found on this website and does not warrant that any information or representations contained on this website will be accurate or free from errors. We are often asked how can I find out who is John Daly's agent? To find John Daly appearance fees and booking agent details, you can contact the agent, representative or manager through PFP Sports Talent Agency for speaking fee costs and availability. PFP Sports Talent Agency can help your company choose the ideal sports personality for your next marketing campaign. To hire John Daly for an appearance, speaking event or endorsement, contact John Daly's booking agent for more information.